Sydney’s weather had been rather crazy of late with almost constant heavy rain mixed in with wild storms. Definitely not great weather for fun at the beach! The Bondi Whale Festival was originally down for Sunday 23rd which was a rather wild day indeed. 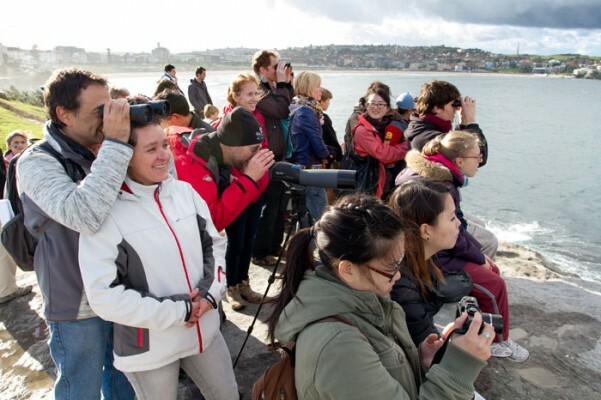 Will Jones, Director of the Marine Discovery Centre made a great call to postpone for a week to Sunday 30th which also happened to be ORRCA National Whale Census Day. 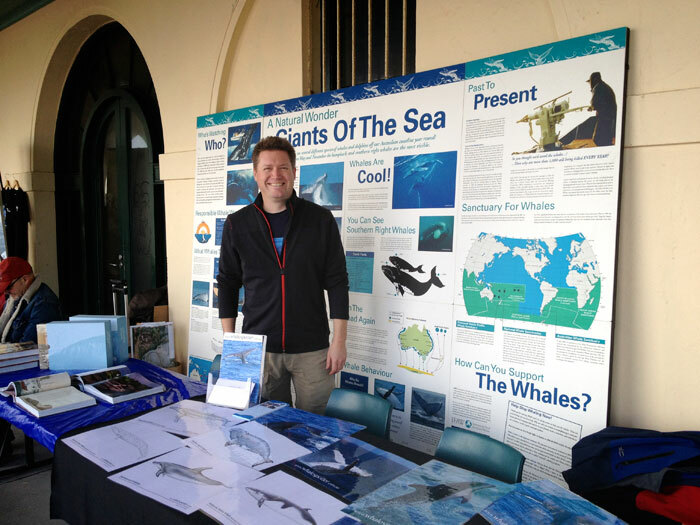 I joined Sea Shepherd, NSW Parks and Wildlife, Cyclops Press, Whale Watch Sydney and several other groups displaying lots of whale related information. Our host Marine Discovery Centre gave families free tours of the centre and organised lots of children’s activities from face painting to creating a giant whale tale on the beach. 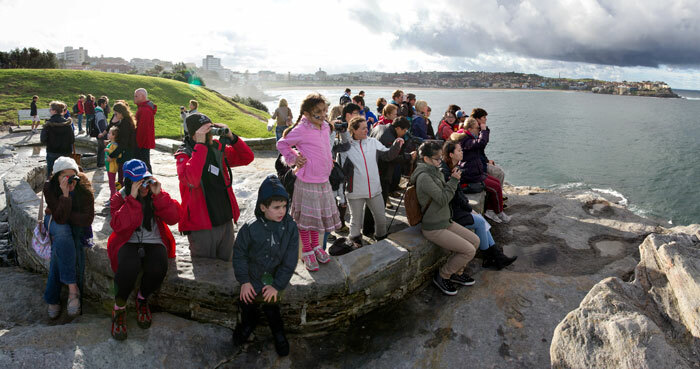 In the afternoon we joined volunteers from ORRCA to whale watch from Marks Park (south Bondi headland). The rain had cleared and it turned into a lovely afternoon watching a few pods of Humpbacks cruising north. 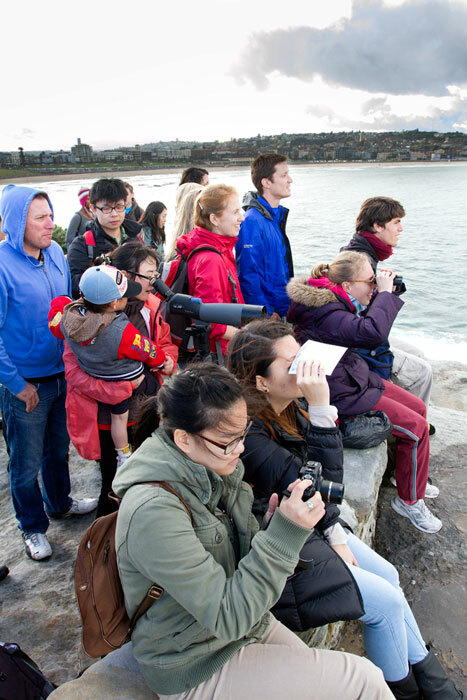 Tasco Australia had kindly supported us with the use of a high powered spotting scope that allowed everyone a great view of the whales. All in all a grand time was had by all!